We are having some fun this week at Sugar Creek Hollow!! We would like to see your "Back to School" projects that you have created in the Vintage or Shabby Chic Style. I love the "Back to School" theme!! I created a couple "Back to School" collage sheets. 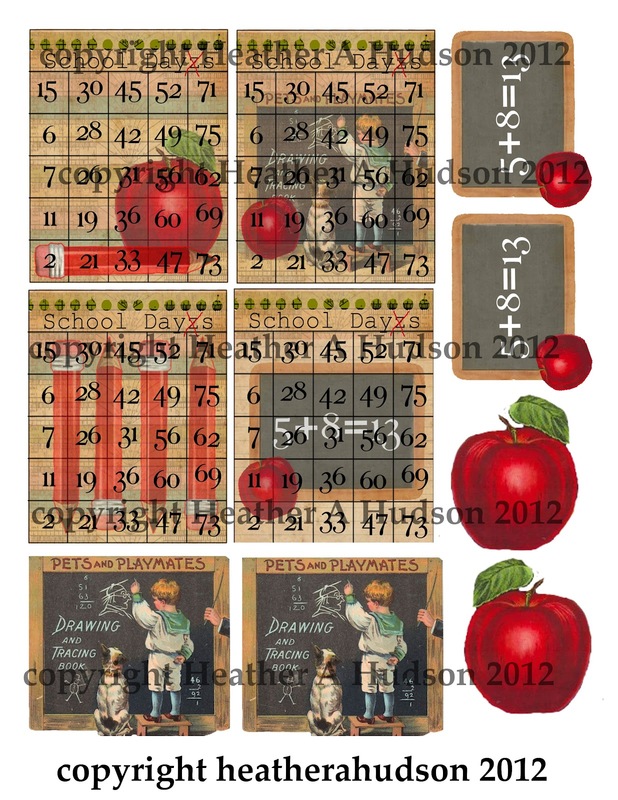 The apple, doll and vintage school boy with dog are all images that I found from Karen the Graphics Fairy. If you have not visited her yet, you really need to :0). 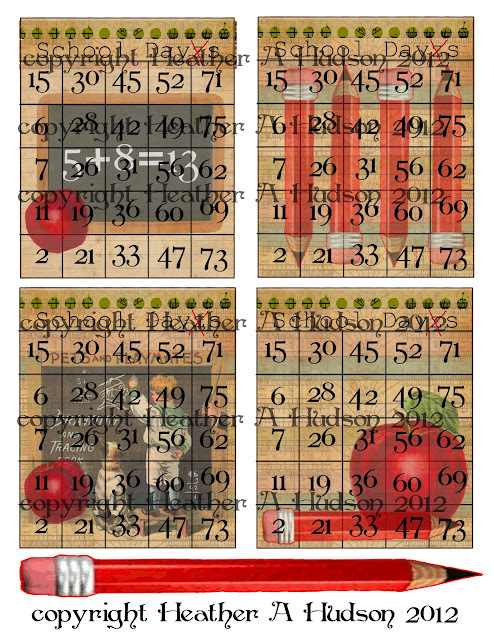 Here is a little notebook and tag I created using the first and third collage sheets. The ivory mulberry roses, black pearl trim and ivory felt leaves and brown blingy bling mesh and black bead flower are all from Pro 31 Designs. The red seam binding is from Really Reasonable Ribbon. Love this mini! I love your School Day(z)s pieces! My daughter has been in school for two weeks now and tired of all the tests already! Fantastic collage sheets. I love your project and the tag, great collage effects with the images. I saw you on MIM. Love the vintage look and mini book idea. Great work. My card is 51 if you care to stop by. heather, caught your submission on the RRR55 challenge, very nice miss!!! smiling... I too tried this challenge as well. Gorgeous projects! Thanks so much for participating in our Really Reasonable Ribbon Challenge. SUPER SUPER Cute! Love it! Thanks for playing along with us this month at Really Reasonable Ribbon!